The MemberWise Network - Driving Membership Forward. Together. The Leading Free Membership and Association Professional Network. Join our growing network today (for free) and access comprehensive community-driven help and support that will enable you to better increase membership value and growth for your membership organisation or association. Our popular membership focused national conference, Membership Excellence 2019 (#MEMX2019), will take place on Thursday 2nd May at the four-star Novotel London West hotel (Hammersmith). Registration is now open! The conference is the UK’s largest membership focused national conference for membership organisations and associations. 97% of delegates return to the office and change/develop at least one member focused activity as a direct result of attending. This year senior membership professional speakers will represent organisations including The National Trust, Equity, ACCA, The IET, The British Museum, Institute of Directors, Liberal Democrats, The National Gallery, Unison and more! Suppliers – Our conference features the association sector’s largest membership solutions focused exhibition (including new Demonstration Zones). A limited number of sponsorship and exhibition opportunities are now available. Association Event Apps – Membership Excellence 2019 to demonstrate how it’s done! I recently joined the MemberWise Network – the community forum and resources are a great place to go for the help and advice and the conference programmes are chock full of stimulating ideas. I spoke at the recent Membership Excellence conference, and a number of my SMT colleagues have been members for a number of years. It was great being a keynote speaker and it was brilliant sharing my knowledge, experience and insight. I would definitely recommend the network! MemberWise has proven to be very efficient, supportive and addresses the needs of member organisations such as the British Association of Occupational Therapists. MemberWise provides resources that ensure we are utilising the most comprehensive tools and guidance available. 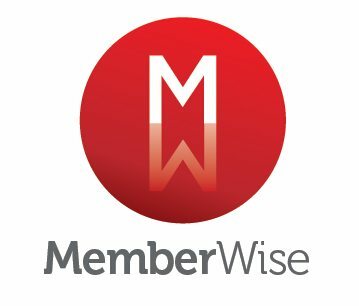 Joining MemberWise has been a true asset. Thanks for all the support you give to us membership organisations – I always read the bulletins with interest and, while I’ve not attended many, have found your conferences a great inspiration. And all best for MemberWise in the future! MemberWise was incredibly helpful when I was seeking advice on the development of the HFMA Annual Report. I would therefore highly recommend joining both organisations and utilising the services on offer. MemberWise was useful for understanding the variety of CRM/database providers supplying the sector.